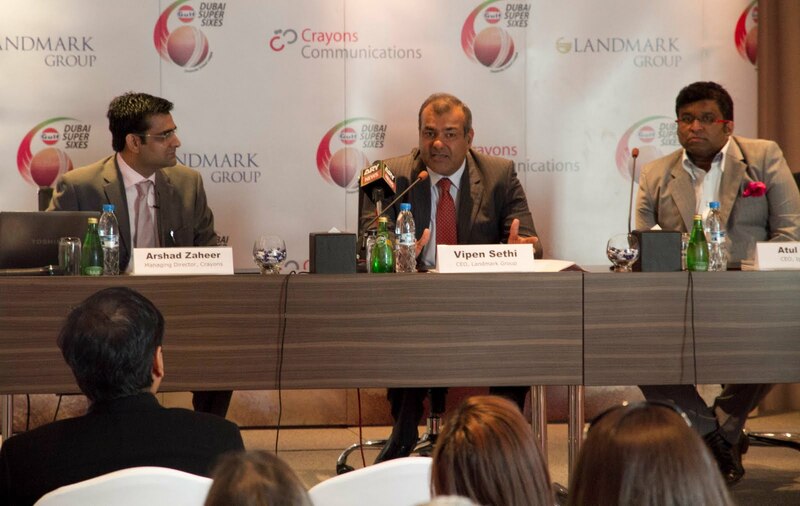 At a press conference today, Crayons Communications and the Landmark Group announced the names of the eight cricket legends who will be associated with the highly anticipated Dubai Super Sixes 2010, ending the two-month-long suspense surrounding the mystery cricketers. The “Landmark Group Team of Legends”, as the eight cricket stars are called, comprises of Wasim Akram and Moin Khan (both from Pakistan), Rohan Gavaskar, Venkatesh Prasad and Vinod Kambli (from India), Lance Klusener (South Africa) and Aravinda De Silva and Roshan Mahanama (Sri Lanka). Held under the auspices of the Dubai Cricket Council, the tournament takes place at the world-class Dubai International Cricket Stadium, from 1st to 15th October. The brand ambassador for the inaugural Dubai Super Sixes 2010 tournament is former Pakistan captain and all-rounder Wasim Akram. Vipen Sethi, CEO, Landmark Group, said: “We are delighted to present the ‘Landmark Group team of Legends’ and provide the teams that clear the preliminary rounds, an opportunity to play alongside renowned cricketing legends. We are confident the presence of high-profile international players on our domestic turf will add to the tournament’s appeal and we are privileged to sponsor this event. With prizes worth Dhs.100,000 to be given away, Dubai Super Sixes will see 48 corporate teams locked in a fierce contest for the top honors. The last eight corporate teams to reach the quarter final will be assigned a cricket star from “The Landmark Group Team of Legends”, who will assist the team as mentor and player. As per the rules of this fast-paced game, each participating team should comprise of six players along with two substitutes. They will also be provided with five neutral fielders from a large pool of players. Playing under the supervision of neutral umpires, the format requires each side to play a limited 5 overs, which they have to complete in 30 minutes. 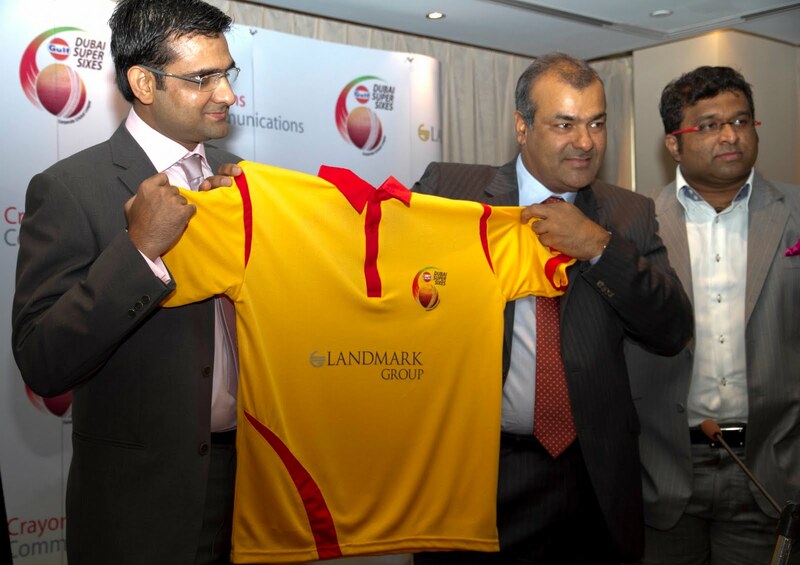 Gulf Oil is the main sponsor along with Landmark Group as the associate sponsor. The event is also supported by media partners like Khaleej Times, City 101.6 FM, Star Plus and Star One. Kingfisher Airlines is the travel partner while Dubai Sports City is the venue partner, Media Rotana is the hospitality partner and Edward Steven & Associates is the public relations partner. For more information, please log on to www.dubaisupersixes.com.